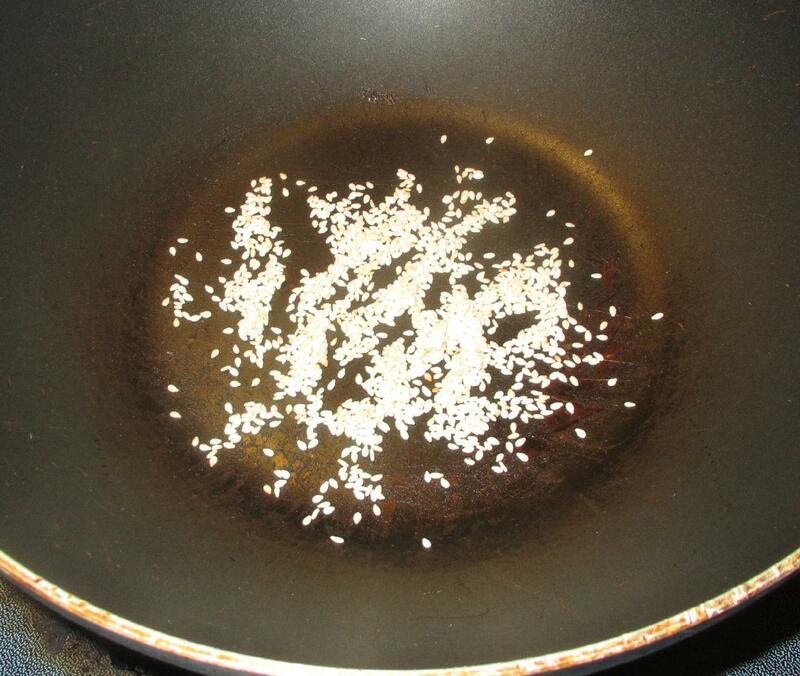 First, toast the sesame seeds in a dry pan just until they start to turn golden and take off the heat. 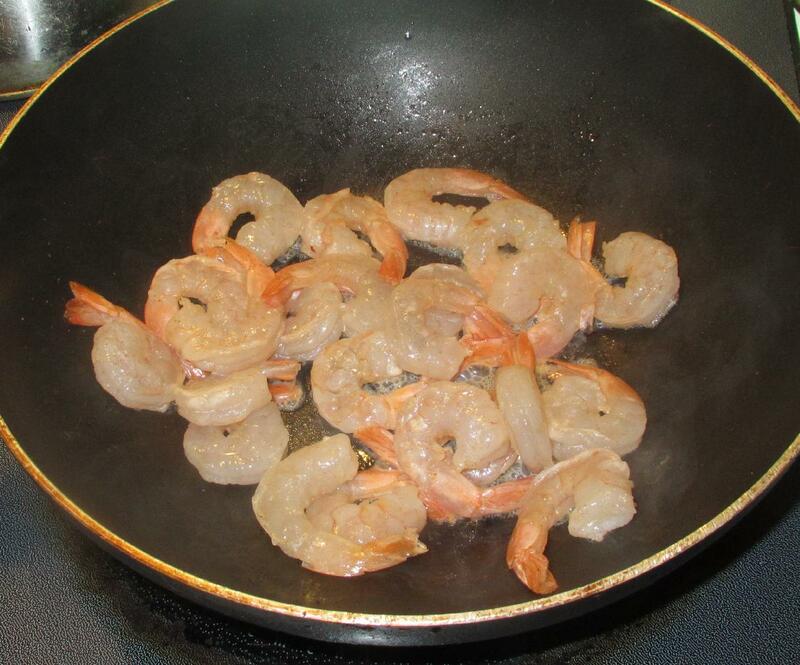 Season the shrimp with salt and pepper and toss with the sugar. 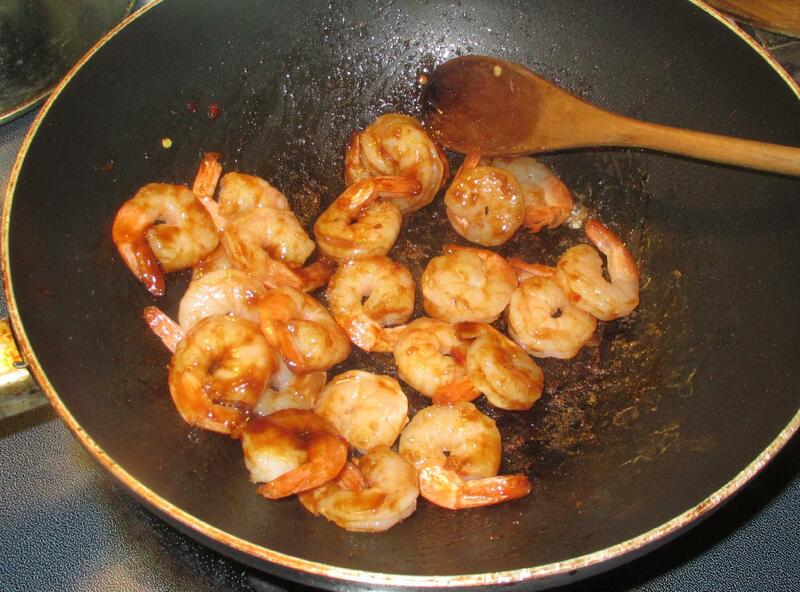 Heat the sesame oil in a pan over moderate heat and sauté the shrimp just until they turn pink. Now stir in the vinegar, hoisin sauce and the chili sauce (if using). 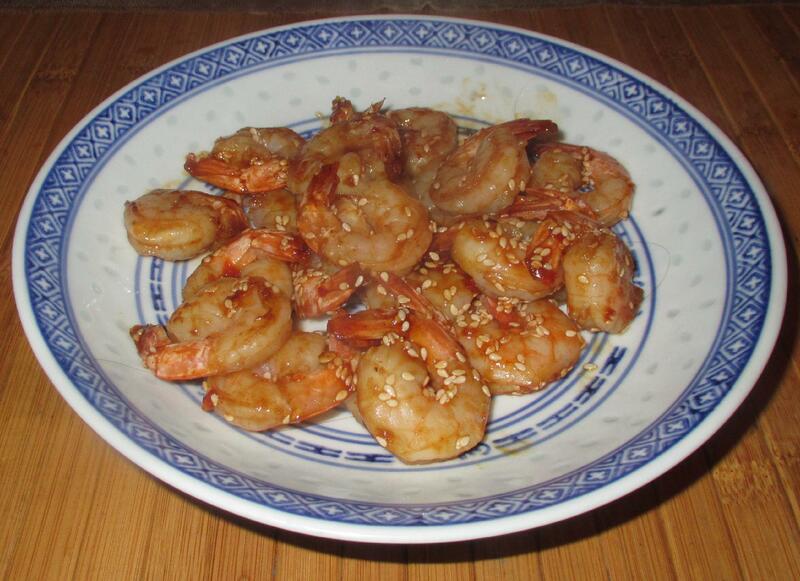 When the sauce has thickened to a glaze over the shrimp, stir in the sesame seeds and serve. I think I’ll have these for dinner this evening…I’ve got all the ingredients. I make something similar with hoisin and chili sauce, but I love your additions, especially the toasted sesame seeds. Yum!